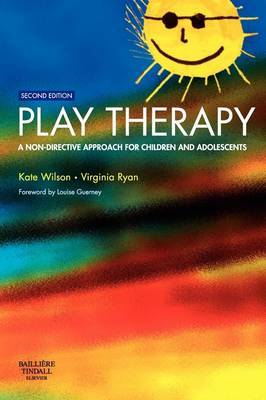 This highly readable book provides a comprehensive theoretical and practical guide to non-directive play therapy, which is an effective and ethically sound method of helping troubled children and adolescents with their emotional difficulties. It draws extensively on case material to guide practitioners through the intricacies of establishing and practising this therapeutic approach. Principles and background to the development of non-directive play therapy as a therapeutic method An updated theoretical framework for this approach, including symbolic play and its role in therapy Essential assessment, planning and practice issues and skills Working with children and their families systematically Play therapy in statutory settings Presenting therapeutic material in court proceedings This second edition has been thoroughly revised and updated to incorporate recent theory, research and practice developments. New issues addressed include: additional considerations when working with children in statutory settings, the integration of attachment theory within the book's Piagetian framework, using drawing, structured exercises and role play within a non-directive approach, and working with a wide variety of children's and adolescents' concerns. ...interested nurses might find it (the book) a useful introduction to the NDPT (Non-directive play therapy) approach.